On January 17, 2013, the Federal Energy Regulatory Commission (FERC) issued Order No. 774, a final rule revising the way FERC calculates annual charges for hydropower licensees’ use of federal lands. The new rule will govern the calculation of fees beginning with fiscal year 2013 bills. 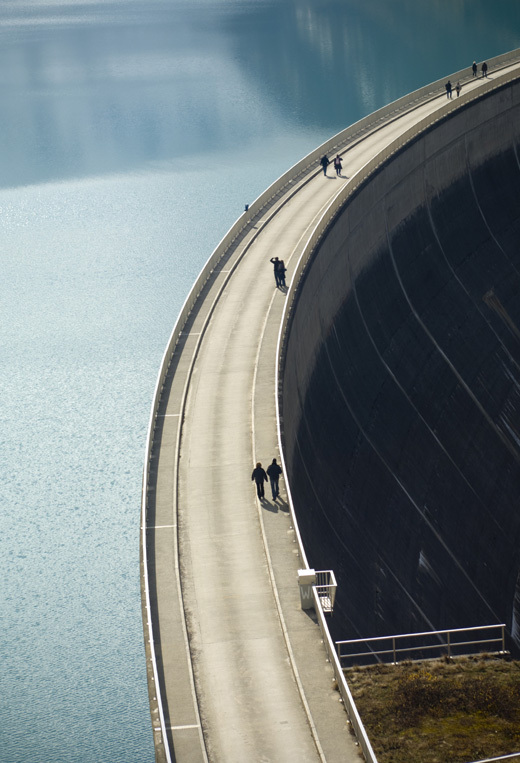 Section 10(e)(1) of the Federal Power Act (FPA) requires FERC to establish “reasonable” annual charges for hydropower licensees’ use and occupancy of federal lands. In 1987, FERC adopted a methodology for computing these charges that had been developed by the U.S. Forest Service (USFS) for assessing fees for linear rights-of-way on USFS-managed lands. From 1987 through 2008, FERC annually updated its fees schedule to adjust for inflation. At the end of 2008, however, the U.S. Bureau of Land Management (BLM) adopted a new methodology for calculating its fees for linear rights-of-way on BLM-managed lands, which included substantially higher land value estimates based on agricultural land values from the National Agricultural Statistics Service’s Census of Agriculture (NASS Census). USFS then adopted the new BLM rule for its assessment of land use fees for linear rights-of-way on USFS-managed lands. In February 2009, FERC issued a final rule—without prior notice or opportunity for comment—adopting USFS’s new fees schedule, and then issued bills to hydropower licensees according to the new schedule. A coalition of licensees represented by Van Ness Feldman challenged FERC’s 2009 final rule and, in January 2011, the D.C. Circuit in City of Idaho Falls, Idaho v. FERC, 629 F.3d 222 (D.C. Cir. 2011), vacated the rule. The court found that FERC’s final rule violated the Administrative Procedure Act’s notice and comment requirements for rulemakings, as well as FPA Section 10(e)(1)’s requirement to ensure that federal land use charges are reasonable. Following the D.C. Circuit’s ruling, FERC issued a Notice of Proposed Rulemaking in November 2011, which proposed a new methodology for assessing federal land use annual charges. While FERC’s proposed rule, like the prior vacated rule, relied heavily on BLM’s 2008 methodology, it included several significant changes that resulted in significantly lower fees than would have resulted from FERC’s 2009 final rule. FERC’s January 2013 final rule, like BLM’s 2008 methodology, uses four components to calculate annual federal land use fees: per-acre land value; an encumbrance factor (the extent to which the hydropower project precludes other uses of the federal lands); a rate of return; and an inflation factor. FERC, like BLM, will use the per-acre average agricultural land values found in the NASS Census. These values will be adjusted downward on a state-by-state basis to eliminate added land value attributable to irrigation, and further reduced by 7 percent to reflect the absence of buildings on the land. FERC adopted an encumbrance factor of 50 percent, a rate of return of 5.77 percent, and an annual inflation adjustment to be updated every 10 years. FERC departed from the BLM method in one significant aspect: Instead of adopting BLM’s approach of assigning each county in the United States to one of 13 fee “zones,” with all counties in the zone assigned the same per-acre rate, FERC’s final rule employs a more precise approach of calculating the annual charge based on the actual average land value for the county in which each hydropower project is located, as set forth in the NASS Census. For hydropower projects in Alaska (which has no counties), FERC will use the Alaska “areas” defined in the NASS Census, although FERC adjusted these areas such that most hydropower projects in Alaska will be subject to the per-acre value of the Kenai Peninsula Area. In addition, FERC decided to end its long-standing practice of doubling the per-acre charge for federal lands within hydropower projects that are used for purposes other than transmission. FERC reasoned that because the land values under its final rule are based on the NASS Census land values for particular counties or geographic areas, and the 50 percent encumbrance factor already accounts for the degree of encumbrance caused by hydropower facilities on the land, it is no longer necessary to double the fee for lands that are used for purposes other than transmission. Finally, FERC will allow a 25 percent reduction in licensees’ federal land use fees for the first year under the new rule. Importantly, as compared to FERC’s 2009 final rule, FERC’s 2013 final rule will produce substantially lower federal land use fees for hydropower licensees—a result that will save the hydropower industry millions of dollars each year. As compared to the regulations that were in place prior to 2009, most projects are likely to see an increase in federal land use charges. The primary reason for these increases stems from FERC’s prior methodology, which did not incorporate periodic adjustments over time to account for changes in land values. As such, FERC’s final rule represents the first update of federal land values used in setting land use fees in 25 years. These increases in annual charges are not expected to be uniform across all hydropower projects, as changes in the value of federal lands over the last 25 years have varied significantly across the United States.